Technology exists in order to make our lives easier and simpler. But can we get to extremes where we use it to make it easier than it should? That's something everyone will have to decide for themselves when it comes to apps like this BroApp - and app that promises to keep your girlfriend happy by texting her automatically even when you forget to. Currently available for Android (iOS version coming soon) this BroApp seems to have done its homework. You need only tell her who's your girlfriend and preselect (or add) a few messages that will be intelligently sent to her automatically. The app says it uses smart technology to ensure the best timing for each message, and takes care of not sending her an automatic message should you have sent her a message or called recently. Likewise, the app can even detect her home WiFi network so it doesn't send her a message when you're with her at her place. 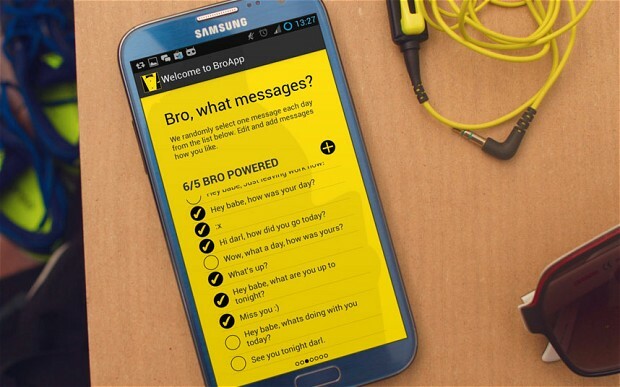 The BroApp even goes as far as having a snooping mode protection. If your girlfriend picks your smartphone and finds this app odd, should she try to open it she'll see just a list of potential gifts you're considering to give her. See... really just the "perfect" boyfriend!